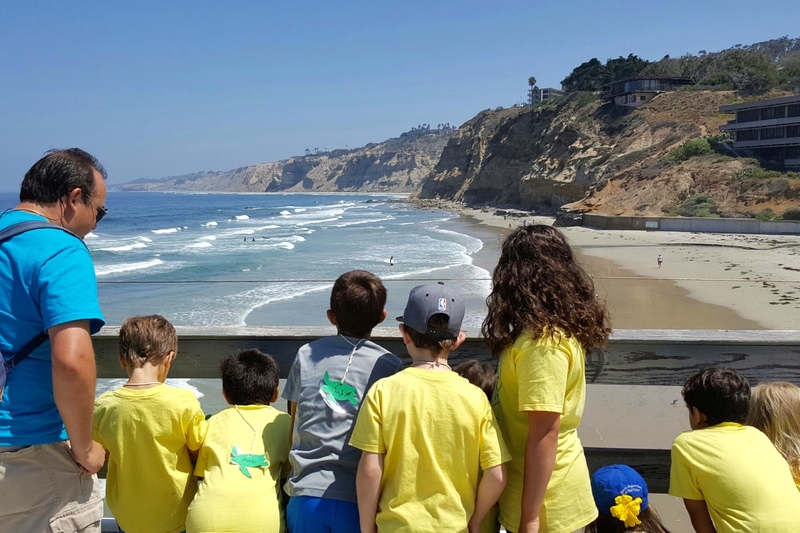 Every month, the third Saturday is a special day at Birch Aquarium: SEA Days! 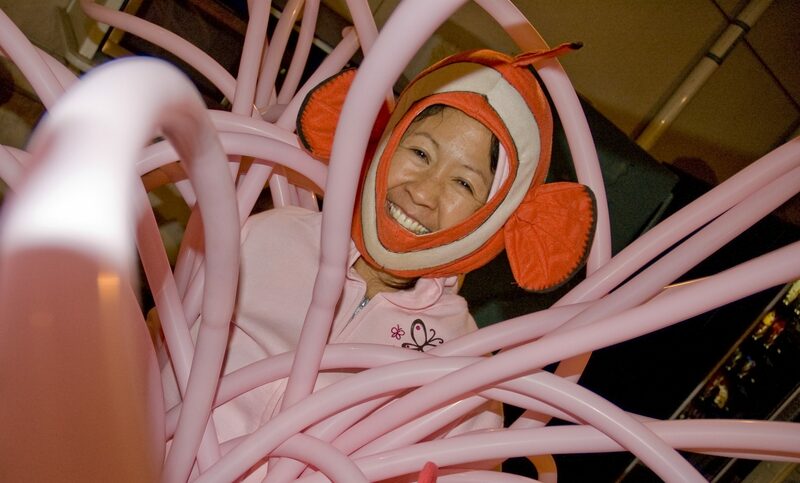 As the tagline suggests, SEA Days are always full of “Science, Exploration and Adventure.” Visitors and members can meet a Scripps Institution of Oceanography or UC San Diego researcher and get hands-on with science, participate in activity stations, and get creative with a thematic craft. Summer is just about upon us, which means it’s the start of Shark Summer at Birch Aquarium. For the next several months we will be celebrating our local shark and ray populations, with an emphasis on leopard sharks. 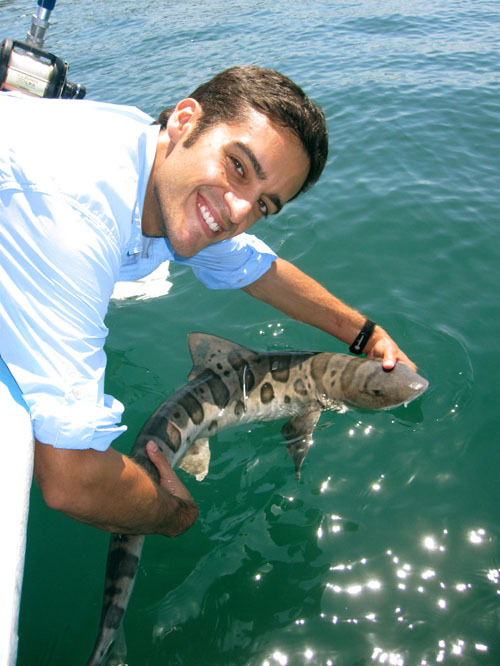 June’s SEA Days: Meet The Locals, is bringing a very special scientist, Dr. Andy Nosal, in to talk about his research. He is a postdoctoral researcher at Scripps Institution of Oceanography and is the aquarium’s DeLaCour Fellow in Ecology & Conservation. Lucky for us, this appointment means that he will be spending lots of time working with the aquarium and sharing his research with our visitors. Who or what inspired you to become involved in marine science? A very supportive high school biology teacher got me interested in marine science. Then, as an undergraduate, I did a study abroad program at the University of Queensland in Australia where I took classes in marine biology and got to see sharks in person on coral reefs. I thought the sharks were just beautiful and wanted to learn more about them. What qualities do you need in order to become a scientist? A good scientist is self-motivated, curious, and creative. A great scientist is also an excellent communicator in both oral and written forms. Why is your research topic important? There is still a lot unknown about the behavior and ecology of sharks and rays and many important conservation implications of understanding their movement patterns. 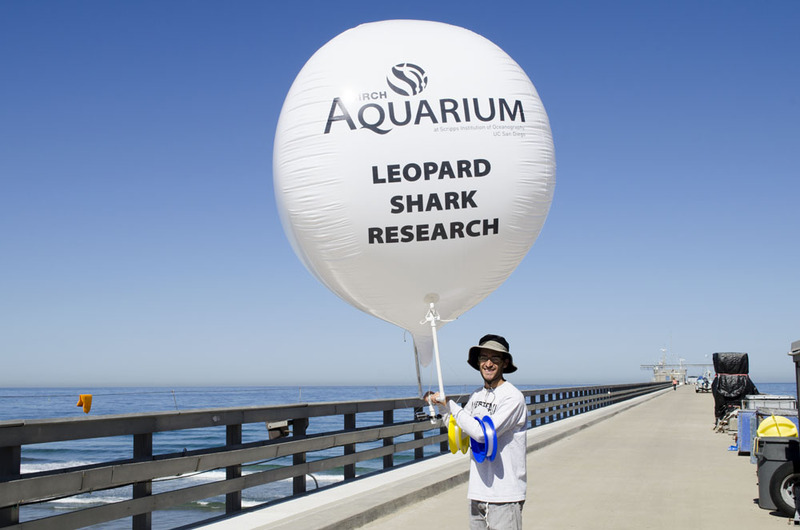 The public is naturally interested in sharks and so studying these animals provides a natural conduit to engage the public in science and inform them about broader issues in marine biology beyond sharks. What will you be bringing with you to SEA days? I will likely bring some of the equipment I use to track sharks. These include acoustic transmitters that emit a pinging sound underwater and the acoustic receivers used to listen for these pings. By following the sound we can follow the shark. What is the best advice you have for people interested in becoming involved in your field of research? Get a BROAD science education and do not specialize too soon. Majoring in marine biology as an undergrad is not necessary to become a marine biologist. It is important to get a solid foundation in general biology, chemistry, physics, math, statistics, AND communication. I cannot stress that enough. Great scientists need to be excellent writers and oral communicators. Look for opportunities to volunteer and get practical experience as a research assistant or volunteer. What is your favorite ocean organism? Join us on Saturday, June 21 for SEA Days: Meet the Locals—there’s something for everyone! SEA Days are 11 a.m – 3 p.m., are included with aquarium admission, and always free to aquarium members. Not a member?Join today!